A DUBLIN AIRPORT taxi driver has been fined €250 after he was found guilty of failing to take an accountant on the shortest route to his home in Blackrock. 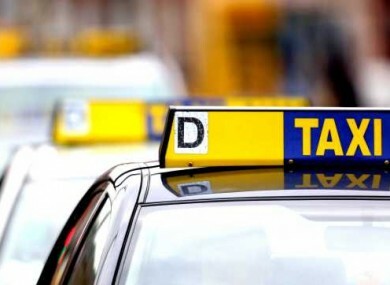 Barry Burns (42) of Bath Road, Balbriggan, Co Dublin, had pleaded not guilty to a taxi regulation charge of not driving as directed by his passenger. Mr John Conroy told the court that he travelled a lot for work and he gets a taxi from the airport to his home in Blackrock in south Dublin. He always asked to be taken via the M1 and the fare home was €35 every time, he told Judge Miriam Walsh at Dublin District Court. However, he claimed, on 20 March last year when he left arrivals and went to take a taxi, the driver, Burns, told him “the M1 was closed and did I see the screen in the airport?”. Mr Conroy claimed Burns told him he would have to take an alternative route that would cost €10 or €15 more. Mr Conroy said he used his phone to search the internet to see if the M1 was blocked while the driver asked him should he go via Finglas or the M50. He said the driver was talking to him about where he worked and that “I would be able to claim the expense in any case”. He said he told him he wanted to go via the M1 and claimed the driver told him the M50 would be quickest. He said he felt under pressure to agree and he put his headphones on because he didn’t want to speak to the driver any more. The witness alleged that when he arrived at his home the fare was €64.40 and he did not have enough so he had to go into his house to get money from his father. He said the driver provided a receipt, which was submitted as evidence and stated “M1 closed due to accident”. In cross-examination he told the defence barrister he didn’t complain to the driver because “the whole atmosphere was not pleasant, that is the way I go, through the tunnel, I felt under pressure”, adding, “I said fine go the M50”. Mr Conroy rejected claims that Mr Burns took the Leopardstown exit and he said he left the motorway at the Dundrum exit. He said that during the journey he tried to search the internet to see if the M1 was blocked but his phone was too slow. When he got home his mother called gardai to check. “I wanted to go the M1 and I was told there was an accident and it was blocked, that was not the case,” he said adding he was 100% sure he told the driver the route he wanted. Mr Burns rejected the allegations and said he let Mr Conroy choose the route. He denied mentioning that there were screens in the airport with traffic information. He recalled that traffic was heavy and claimed he told Conroy there must have been an accident somewhere and the passenger said he wanted to get home quick. He agreed with Garda Sergeant Michael Higgins that there was a quicker alternative route but he claimed the passenger picked the way to go. He also claimed he and Mr Conroy chatted throughout the journey. He denied that he had issued the receipt shown to court saying it had no identification information and he said the signature was not his. He agreed that in a statement to Garda Sergeant Higgins he said the fare was €64 but he just accepted €60. In his evidence in court he said that he told Conroy he would take €55 for the run but was given €60. Judge Walsh said it may be a difference of just a fiver but it was a discrepancy and she found him guilty. The trial heard no evidence of any accident on the M1. Fining him Judge Walsh noted Burns, who has been a taxi driver for 10 years, had no prior criminal convictions. She also ordered him to pay €130 in witness expenses. Email “Dublin taxi driver fined €250 after taking man on longer route home”. Feedback on “Dublin taxi driver fined €250 after taking man on longer route home”.